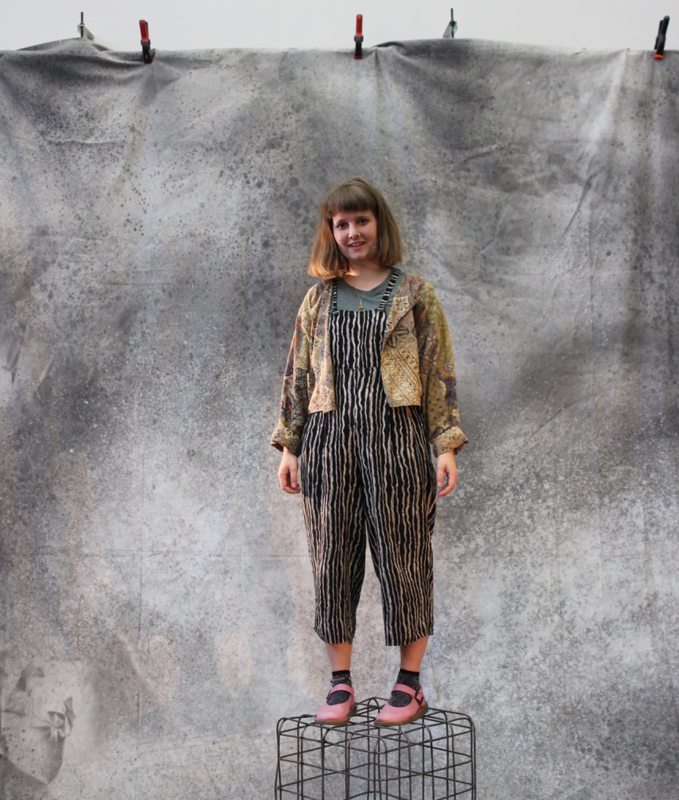 Chloe Benbow is a Designer / Maker for Performance & Events based in the South West. 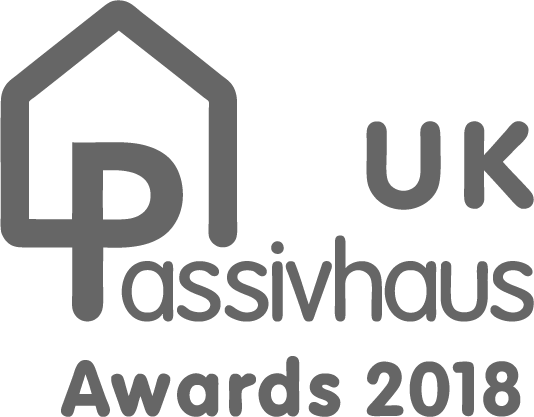 Chloe is a graduate from the Royal Welsh College of Music and Drama and has a BA (Hons) in Design for Performance. 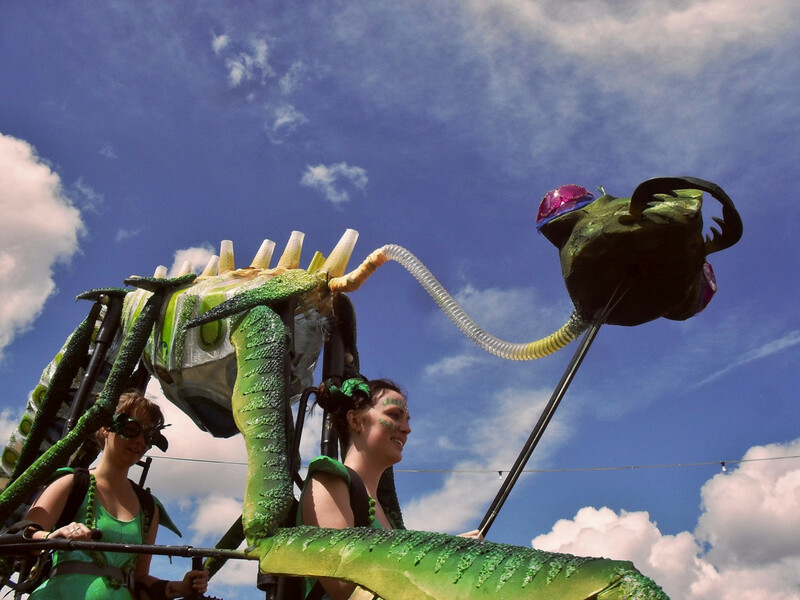 She specialises in the design and fabrication of set, costumes, props and puppets. 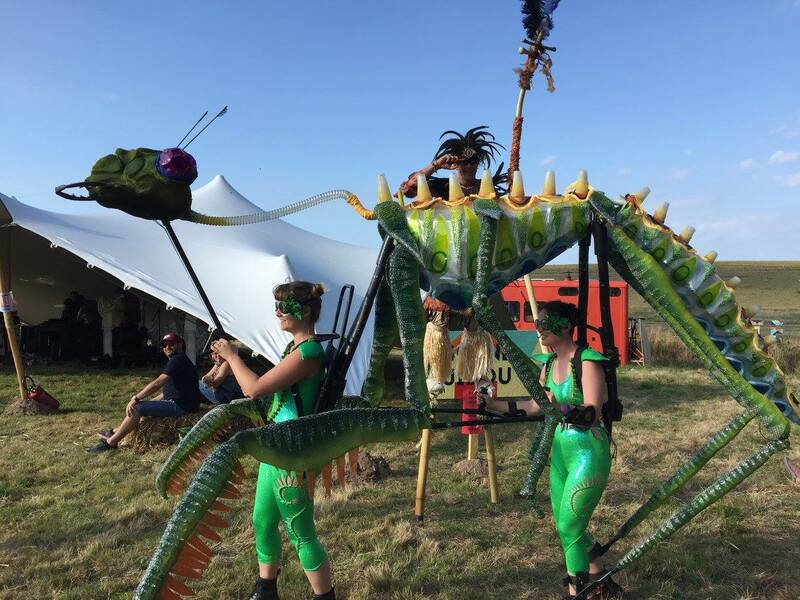 She also co-runs PoCo Creations, a company that design, make and perform giant walkabout puppetry acts that are available to hire for festivals and events. 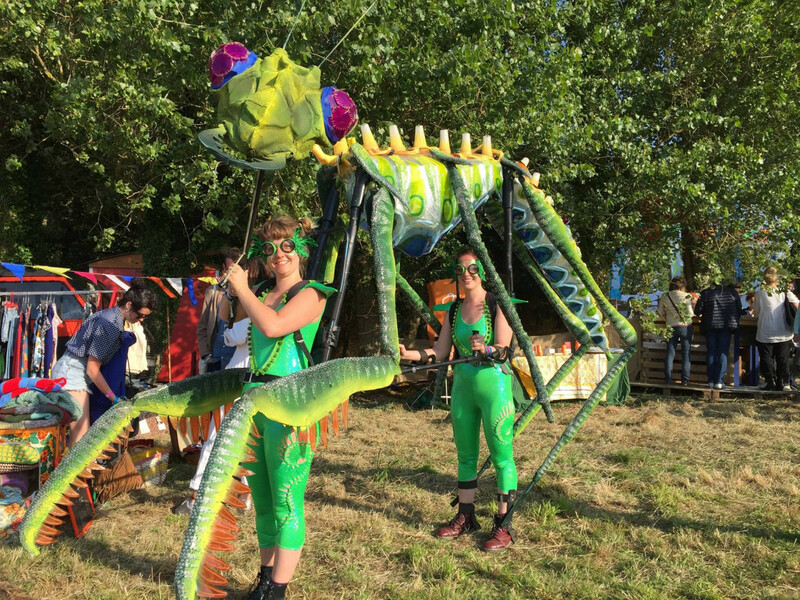 This giant praying mantis inspired puppet was created in collaboration with Poppy Hargreaves for festival walkabout performances. It has fully articulating leg joints, head and pincers. It also has the ability to flat pack into 13 pieces for easier transportation and is filled with LED strip lights for colourful light-up evening walkabouts. 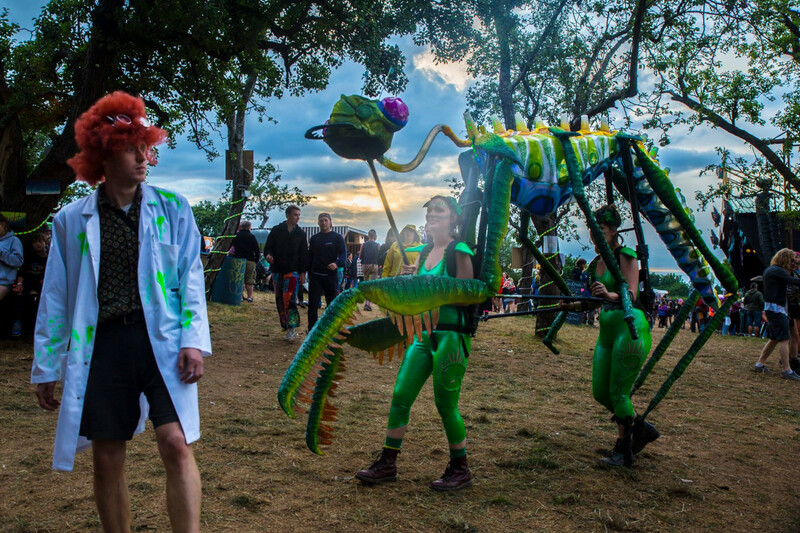 The puppet is largely made out of recycled materials sourced from scrap stores such as; gas piping, clingfilm, foam, tights, lighting gels, netting, bubble wrap, wire, old parts of hoovers and industrial thread bobbins. It has performed at numerous outdoor festivals and events. 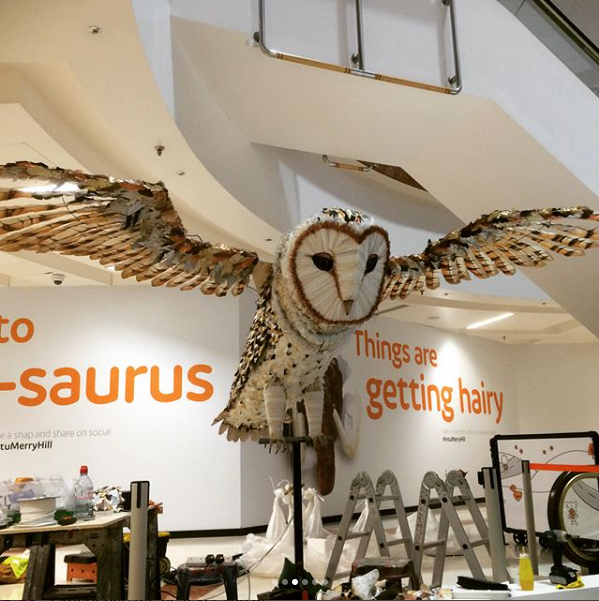 This giant animatronic owl was made for the Bakehouse Factory in Bristol. Working alongside designer Jessica Jones, each feather on the 5 meter wingspan was hand crafted, painted and carefully attached so that each feather could move individually. There was also a motorised body tilt from a perched to flying position. This required careful construction of the body shape to allow it the flexibility to change. Materials used include foam, plasterzote, clay, warbler, fabrics, plywood, wire, aluminium and steel. A new piece of writing by Eve Leigh, commissioned by the Royal Court as part of NEW season 2017. Set around an anti-refugee protest that took place in Dover, central themes of borders and barriers were explored through imagery of fencing, windows and the sea. Together with director Elayce Ismail this led the decision to set the performance in an abandoned seascape world. 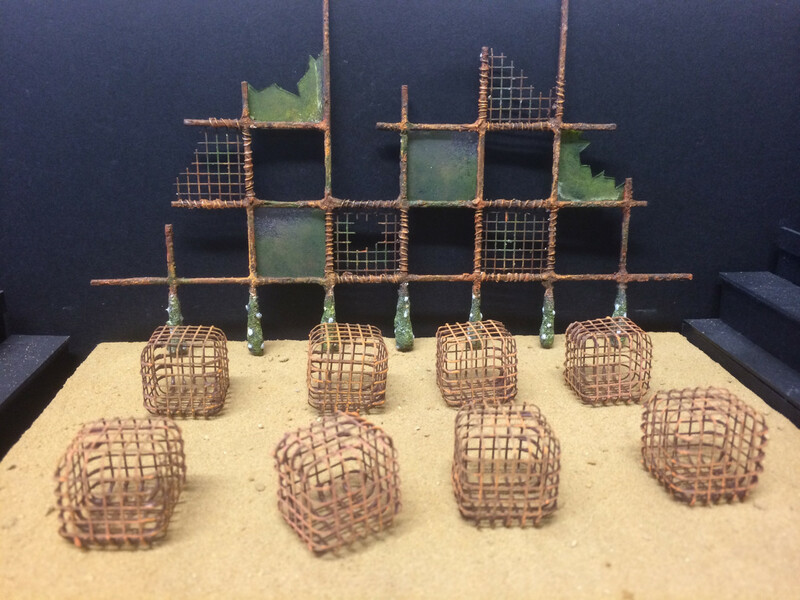 All props on the stage were items that had been washed up, the floor was a textured sandy floor cloth and other pieces of set reminiscent of gabions, cages used to build sea defence walls. Actors were dressed both ready for beach weather and perhaps to join a protest. The stage space was extremely small and the script often changing so the moveable cages allowed easy transition into different settings whilst also providing performing levels. This show toured and was performed in the rep at the Richard Burton Theatre in Cardiff and the Gate Theatre in London.